Sebastian Stan recently appeared on Jimmy Kimmel to promote his latest movie, Destroyer, and talked about Captain America as well as the death of Winter Soldier in Infinity War. 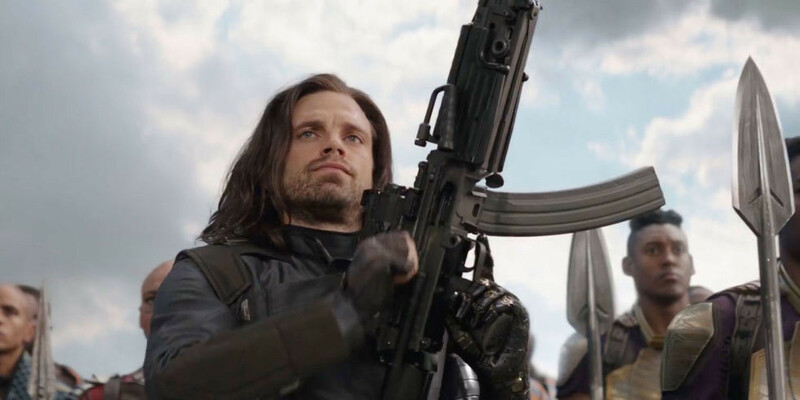 Regarding Infinity War, Sebastian Stan let it be known that he didn't find out about Winter Soldier's death until the day of the shoot. Stan says his stuntman knew about it, and when they were getting ready for the scene, Sebastian Stan wasn't clear about what was going on. His stuntman told him to talk to director Anthony Russo, who in turn told him to talk to Joe Russo, who was just as about the death scene. Regarding the potential of Sebastian Stan playing Captain America, as Bucky does in the comics, Stan says they never really talked about it. Sebastian Stan is also asked which of the Avengers actors doesn't he get along with and Jokes, "Tom Holland is a problem." A Winter Soldier and Falcon series for the Disney streaming app has also been announced, but Stan wouldn't confirm it as he and Kimmel joked it's Miami Vice. Destroyer opens December 25 also starring Nicole Kidman, Toby Kebbell, Tatiana Maslany, and Scoot McNairy. Sebastian Stan On Justice League: "Who's That?"